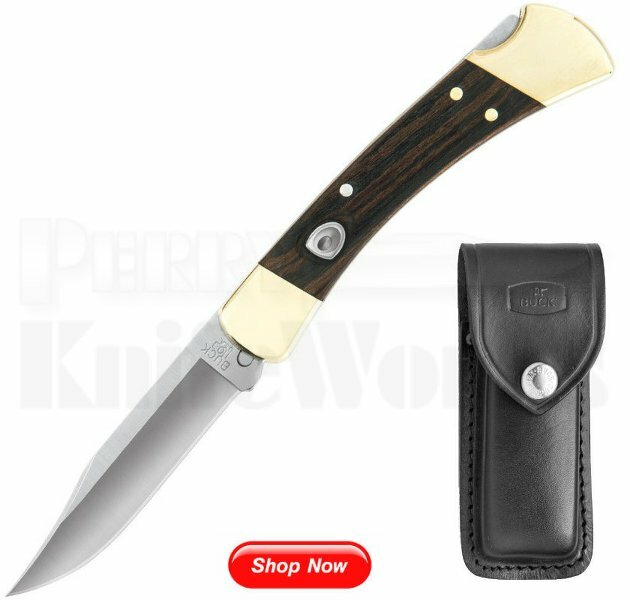 One of America?s best-selling knives is now available as an automatic! The Buck 110 Auto is easily deployed with the push of a button, readying the 420HC blade quickly and efficiently. Featuring the same classic Macassar Ebony Dymondwood handles and brass bolsters, the 110 Auto will easily become a new collectible for those avid 110 fans. Made in the USA.